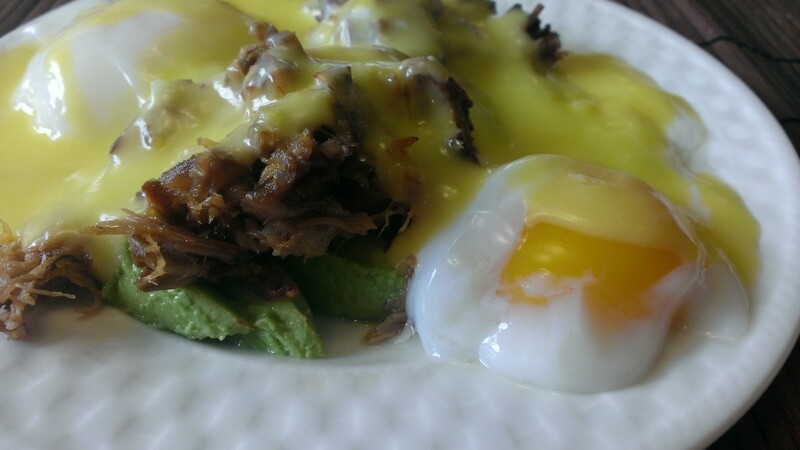 Last week I made carnitas and as always had some leftover, so when thinking of what to make on a rare lazy Sunday morning I decided to use what was left over for a delicious take on eggs Benedict. Using the same method as my previous Eggs Benedict post, sub out the lemon juice in the Hollandaise for lime, the avocado slices for the English muffin, and the reheated carnitas for the tomato and chicken. MMM, pancakes. So easy from a box, but also so easy from scratch. Even easier than pancakes from a box if don’t have mix and have to drive to the store to get some. Simply serve these with butter and some good pure 100% maple syrup. In a large bowl mix together eggs, milk and vanilla. Slowly add dry mix to the wet, whisking as you go. If too dry add a little more milk. When throughly mixed add butter. 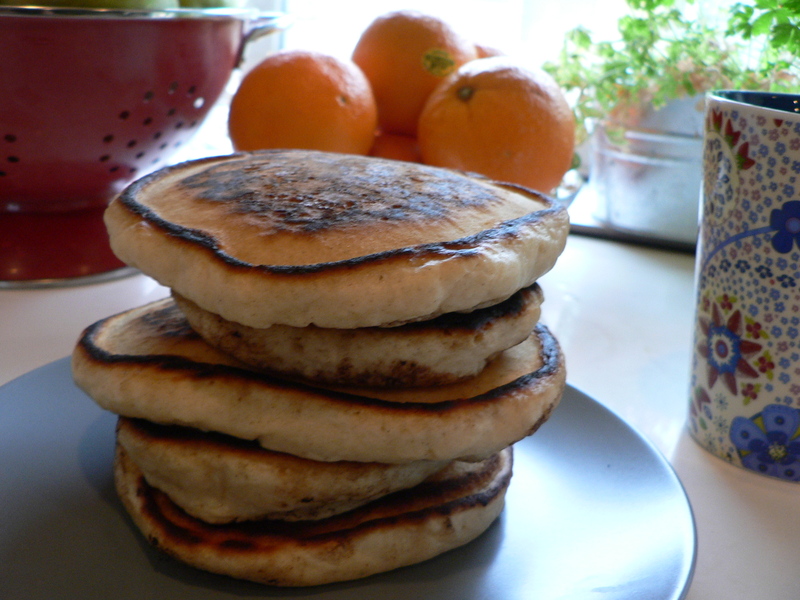 Heat a griddle on medium, when hot add butter and make pancakes with approximately 1/4 cups of batter. Once bubbles start to form on top of the pancake batter flip the pancakes and cook for an additional minute or two, until golden brown. Repeat with the remaining batter, using butter first to grease the griddle. 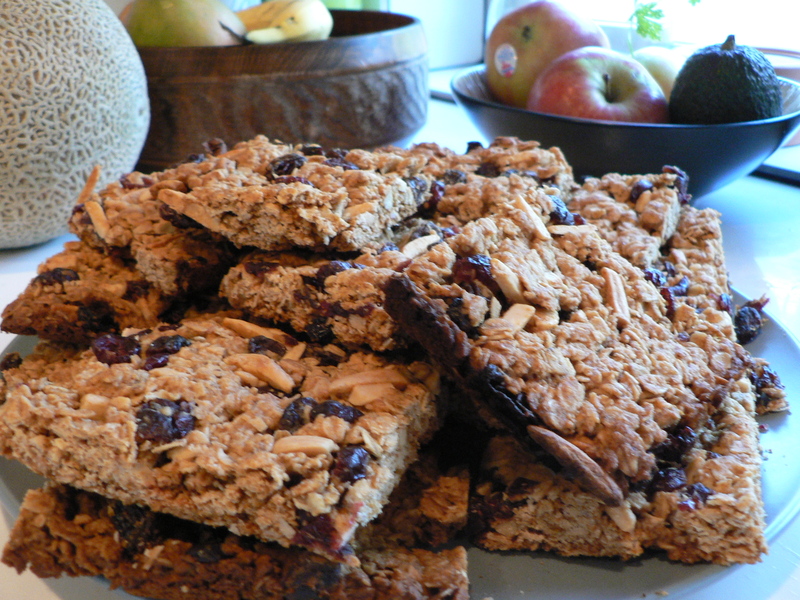 This is a delicious, healthy breakfast, great for a weekend morning. You can replace the bacon with mushrooms for a vegetarian option or with pancetta, chicken or some leftover meat if you prefer. I like to use slow cooked beans that have a bit of spice to them. And of course this dish can take a healthy dose of hot sauce for those who love heat! In a medium pot fill half way with water and add vinegar, bring to a boil. Meanwhile cook bacon to your prefered doneness, remove from pan and dice bacon. 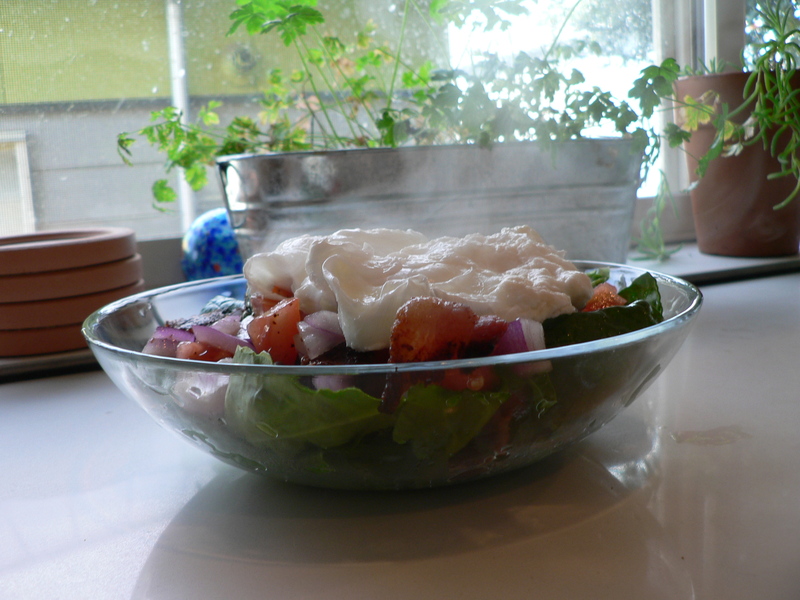 In a bowl combine onion, tomato and bacon. Salt and pepper to taste. Poach eggs in boiling water. 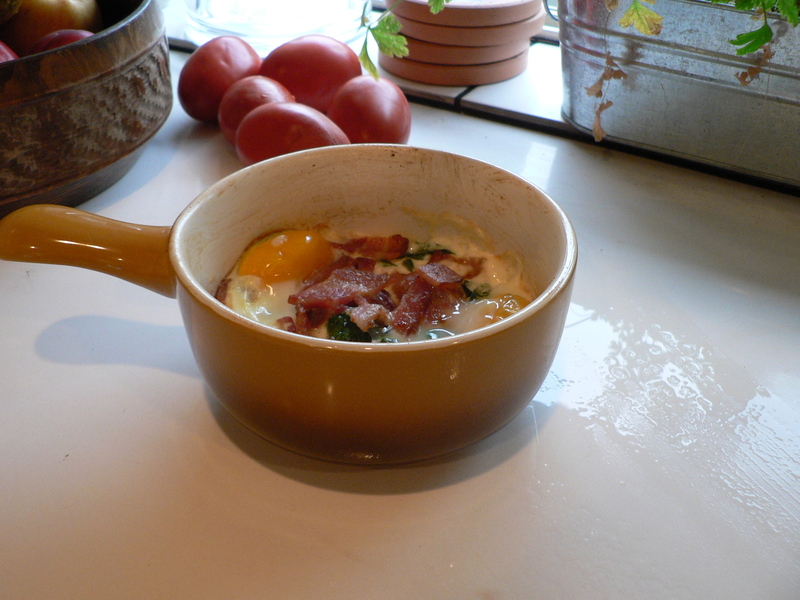 Add spinach to a bowl, ladle beans on top, add tomato, onion, bacon mixture and then top with poached eggs. Another slow cooker recipe that tastes amazing! I found this on the Cooking Light website, but tweaked it (and halfed it) to suite my tastes. 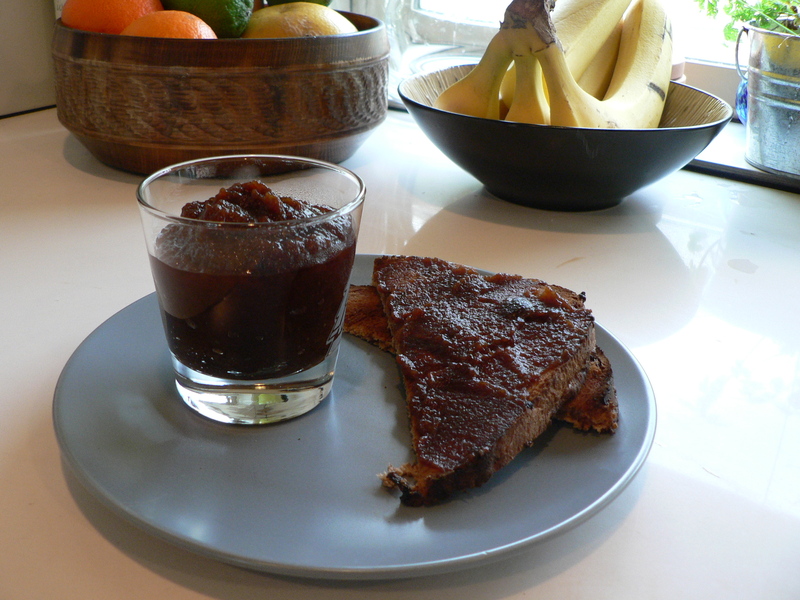 I have only eaten this on cinnamon rainsin toast and english muffins so far, but can imagine it on pancakes as well. Since the mixture gets strained you don’t have to peel the apples, though you could if you wanted to. Once done I split it into thirds and freeze 2/3rds of it since it only lasts one week in the fridge. Place a fine mesh seive over a bowl. Scope 1/2 of mixture into seive and press through. Once first half is strained do the same with the second half of the mixture. Return stained mixture to the slow cooker. Cook on high, uncovered for 1 1/2 hours, stiring every so often. 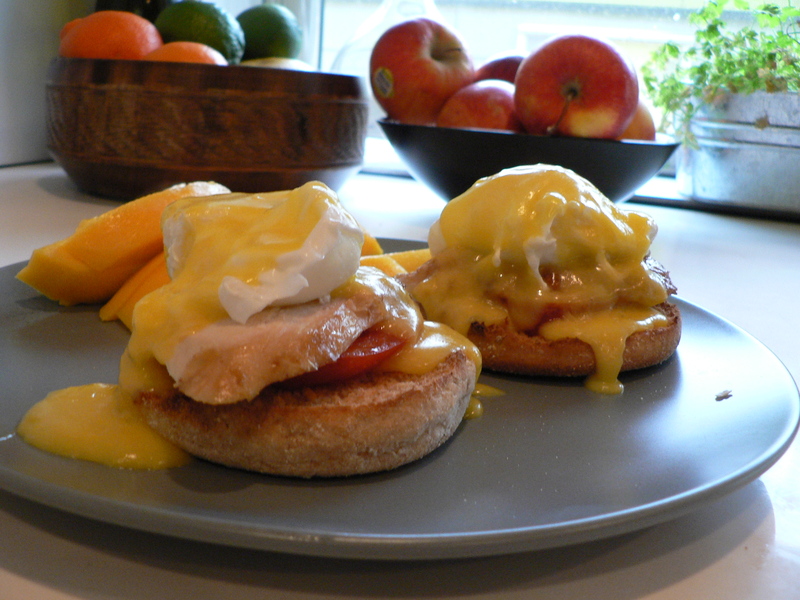 Eggs Benedict is one of the best brunch foods out there. Most people think that it’s hard to make but it’s not, it is all about the timing and not overcooking the hollandaise sauce. Though typically made with Canadian bacon, I found myself too lazy to run to the store to get some this morning, so I substituted leftover roasted chicken and a tomato. When I do make this recipe with bacon I use thick cut smoked or maple bacon instead of Canadian, that’s just my preference. If you make this with bacon cook it between the first two steps and then set aside. Poaching Eggs: Do not add salt to the water in which you are poaching eggs. Also make sure the water is at a rolling boil before you add the eggs. Fill a medium sized pot 3/4 of the way with water, add 1 tablespoon vinegar. Fill a smaller pot half way with water and place a second bowl on top. Bring both to a boil while you complete the next steps. Separate yolks of 2 eggs, discard the whites or save for another recipe. Whisk the 2 yolks. Half the English muffins and start them in a toaster. By now the water in the smaller pot should be boiling. Add the butter to the top bowl over the smaller pot (ie, the double boiler). Heat oil in a small pan. Add the tomatoes, cook 30 seconds, flip, salt to taste and cook another 30 seconds. Turn off burner but leave the tomatoes in the pan to keep warm. Heat roasted chicken (you can do this in the same pan, at the same time, as the previous step). Remove English muffins from toaster, on top of each slice add one tomato, a slice of chicken, a poached egg and then drizzle with 1/4 of the sauce.